There is a new travel report from Nepal (August/September 2011). To date (2011), 1312 mothers in Nepal have been given the chance to improve their living conditions with an animal (including 182 local cows, 89 Jersey crossbreds, 224 naks and 792 water buffalo). Twenty trained midwives have received horses. In 2011, animals were allocated also in Helambu/Langtang (where traffickers in women are active). SHN will continue allocations in Dolpa and further to the west. On Oct. 4th, 2006, Stefanie Christmann, the founder of Eritrea Donkeys was awarded the Federal Cross of Merit by the Federal President of Germany, Horst Köhler. We celebrated our 10th birthday on June 24th, 2005, 4 - 6 pm, at the photo exhibition! Stefanie Christmann's second children's book, "Askalu and her donkey Senait" (in German), was published in September 2004 by Horlemann (6.90 €, ISBN 3-89502-148-2). As the first book by Stefanie Christmann "Askalu wants a donkey", the illustrations are by Stefani Schwingen. 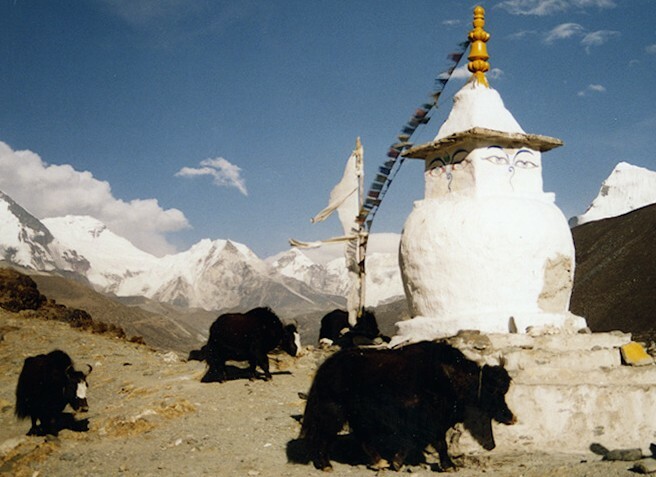 At lower altitudes, cows as well as donkeys are allocated, at higher altitudes, naks.